Friday night was a long one. Accidentally got stuck in the famous "anarchist district" while every way out was cut off by riots and tear gas. 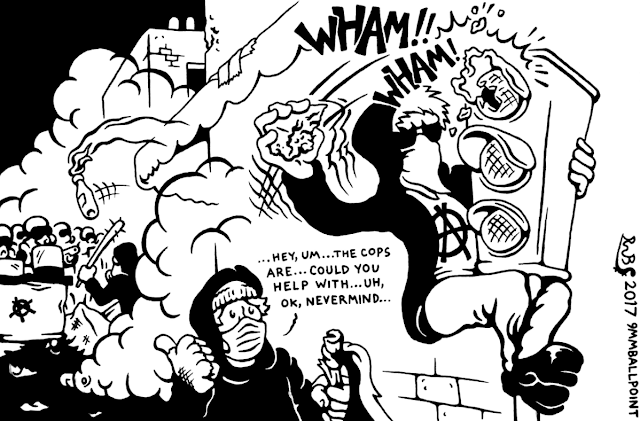 But this one image, of a solo anarchist attacking a traffic light with his back to the action, has really stuck with me. I...just don't get it.